Pro-hard-Brexit Conservatives have had their plans thrown into disarray after their secret rival proposal for exiting the EU was ‘leaked’ by a professional darts player. 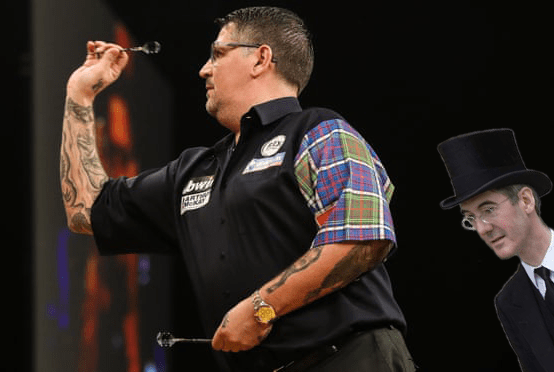 Gary Anderson of Scotland and Dutch man Wesley Harms were contesting the Gland Slam of Darts, when one of the two athletes spontaneously produced a hellish eruption of gas from his non-throwing end. As the stench of rotten eggs thickened in the sporting arena, a junior Brexit minister was seen to rush the stage, wafting frantically with a large piece of cardboard, while grown men burst into tears and vomited. 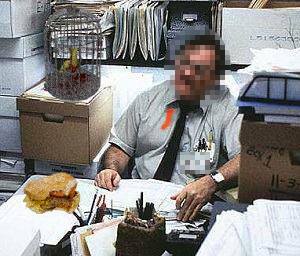 A man sitting in the offices of an undisclosed local newspaper is a manky, filthy tramp-pig, according to unnamed sources. Accused of burping, sniffing and farting simultaneously and harvesting nose hair with his fingers, the alleged oaf also eats cake for breakfast, it can be revealed. The Greater Anglia rail franchise has announced plans to reserve a carriage for passengers who are unable to control their intestinal gas emissions. 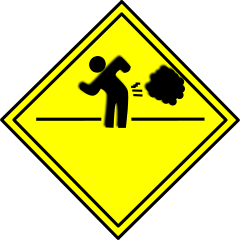 A spokesman for the railway company, who hope to eventually power trains from recycled emissions, explained the thinking behind the designation of a new flatulence carriage, for those already being dubbed ‘Fart Class’ passengers.